looking at some 1988, 1992, 1998, 1999, and 2000 cents we find that there is something different about them. They look the same, but different. Some of these coins are either Wrong Die Coins or Transitional Die Coins. 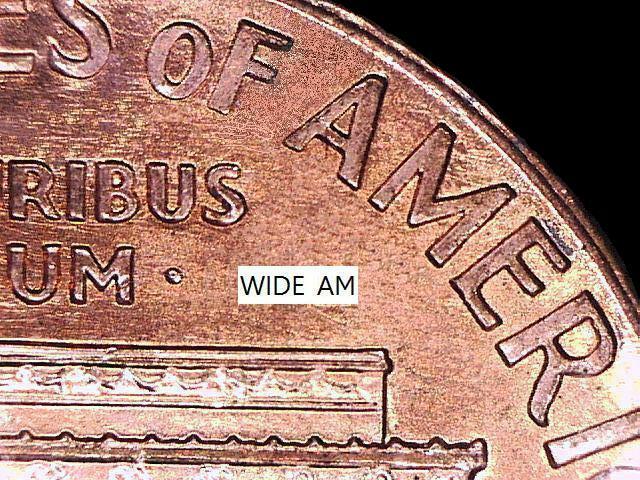 WRONG DESIGN DIE COIN: A coin where the dies that struck the coin were not intended to have been used together on that coin by the Mint. 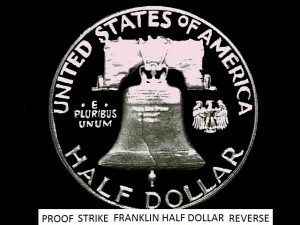 Example: A half dollar with a business strike obverse die and a proof reverse die. 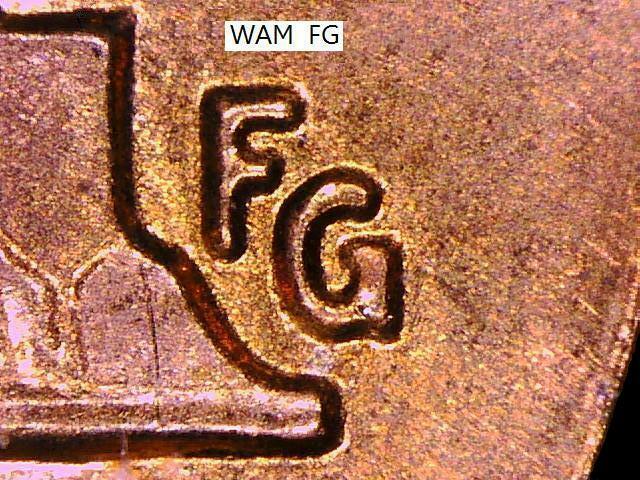 When we discuss Wrong Die Coins we will limit them to coins that are not transitional dies. Those will be listed separately. 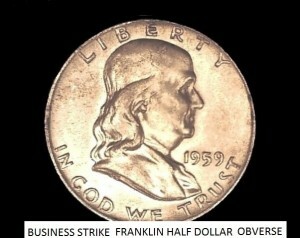 Wrong Die Coins almost always affect the reverse, and usually are proof dies used on a business strike coin. These proof dies were never polished so they have the same look as a standard business strike coin, but they have the design elements of the proof dies. There can be from one die to many dies that will make these coins. For this reason the coins made from these dies are harder to find and usually more valuable than coins made from a standard business strike die. TRANSITIONAL DESIGN DIE COIN: A coin struck with a die that the Mint intended to be used, before or after the year on which that coin was struck. 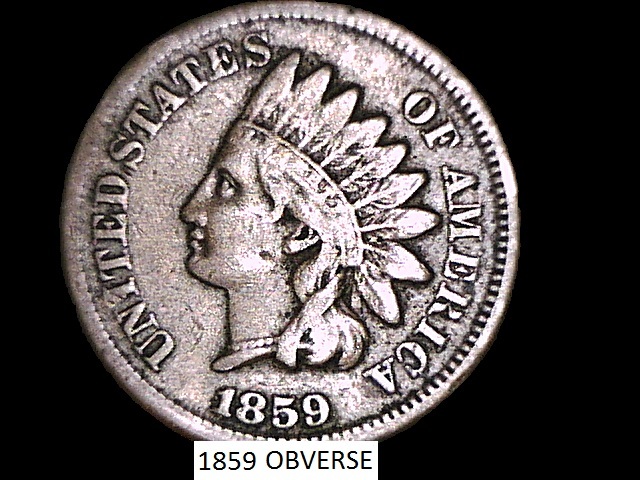 Example: A 1859 obverse die with a 1860 reverse die on a cent. Now with that done, it’s on to the coins. 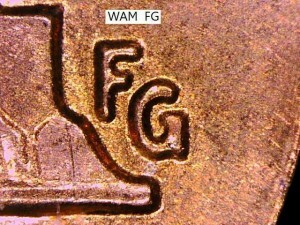 These coins are from a Transitional Die. 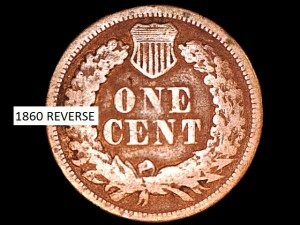 In 1989 the reverse dies were modified. 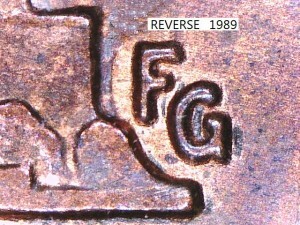 On the 1989 reverse dies the vertical bar of the “ G ” in the designer’s initials shows a straight line at the top going inward and it drops down below the lower curve. In contrast the 1988 dies have a plain “ G ” with no fancy lines at all. This variety was first discovered in 2007. We believe that the die technicians grabbed some 1989 reverse or “tails” dies at the end of the 1988 year and paired them with the 1988 obverse or “heads” dies. The coin in question shows that 1988 obverse die paired with a 1989 reverse die. This is a very small detail change. Pay close attention to all 1988 cents as this variety can and has been overlooked. Currently the 1988 D has 11 different dies identified and the 1988 P has 7 different dies identified. However the number of “found” coins total 3 to 1 for the 1988 P over the 1988 D. A possible reason for this is that the Denver mint discovered the mix-up early in the striking of these coins, and removed all of the 1989 reverse dies. This is why the 1988 D is currently very rare and the 1988 P is just listed as rare. Now a special set of cents, The WAMs And CLAMs. 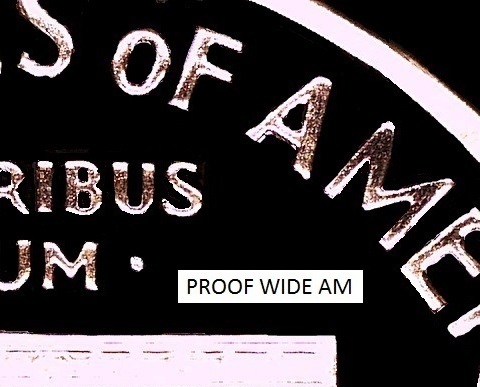 The names WAM and CLAM refer to a set of cents that the “AM” in the word AMERICA on the Reverse has either a Wide AM (WAM) or a CLose AM (CLAM). The space between the “A” and “M” is the area in question. The “M” is centered between the “A” and the “E” on a Wide AM. That “M” is closer to the “A” on a CLose AM cent. The U.S. Mint has modified the reverse of the Memorial Cent many times. The modifications is where these coins come in. The first WAM found was the 2000 WAM. It was reported in January of 2001. Soon after that the hunt started for the 2000 dated coins. While hunting the 1998 WAM and 1999 WAM were found. There were two other WAMs reported: a 1996 and a 1993 but they were never verified and have since vanished. 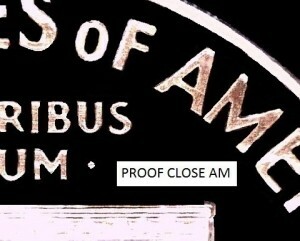 In 2005 the first CLose AM proof cent was found, a 1999 S CLAM. 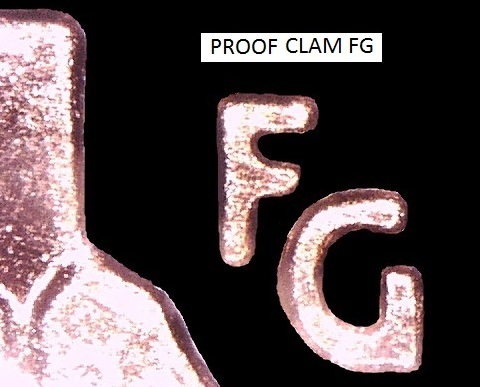 This again set off a searching frenzy yielding the discovery of the 1998 S CLAM. No 2000 S CLAM cents have been found. It is believed that as the proof dies stayed at the Philadelphia Mint the business strike dies left and went to the San Francisco Mint. The last 2 cents in this grouping are by far the rarest of all of the WAMs or CLAMs. 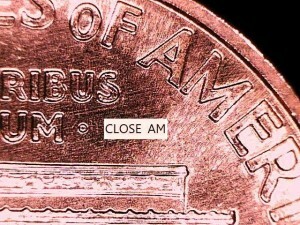 In March of 2006 it was reported that a 1992 D CLose AM cent had been found. 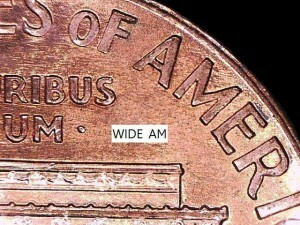 Later a 1992 P CLose AM cent was found. These two coins are very rare and command great prices when sold at auction or in private sales. A full set of the WAMs and CLAMs list would include 3 WAMs and 4 CLAMs or 7 coins for a full set. It is a set that can be completed, but is extremely challenging to find or quite expensive to buy. An amazingly rare Transitional Die Coin. This 1992 obverse die is paired with a 1993 reverse die. The space between the A and M in America was reduced in 1993 creating the CLose AM cent. The FG (designer’s initials) was also moved farther away from the building on the 1993 dies. It has been theorized that the mint wanted to test the striking of the new dies. This led to a few being struck however some got out into circulation. 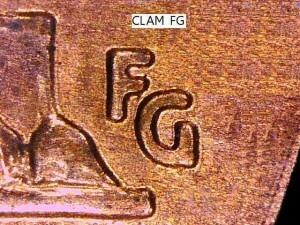 Another possibility is that someone grabbed the wrong die at the end of the year and struck the CLAM coins by mistake. This allowed a small production run to get out. Since few have been found so far, it is my opinion that the first theory is the most likely cause. With only 5 to 15 1992 P CLAMs and 20 to 30 1992 D CLAMs reported you can see that these coins are the rarest of all of the WAM and CLAM varieties that have been found so far. Every year more of them have been found but the totals are very small even after 8 years of searching. This is the first Wrong Die Coin on our list as these coins were made using a business strike obverse die and a proof style reverse die. 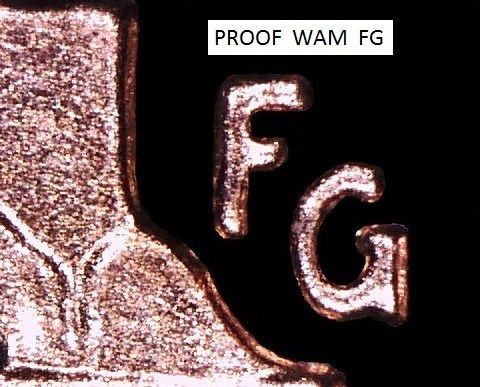 This proof reverse was not polished so it looks like it is a business strike die but with the designs of the proof die. 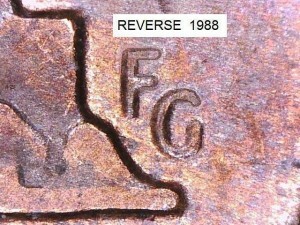 Starting in 1993 the one cent proof reverse dies were made with the space between the A and M in America farther apart than on the business strike dies. The “FG” (designer’s initials) is also closer to the building than on the business dies. It has been theorized that the San Francisco mint asked the Die Shop at the Philadelphia Mint to produce some extra proof dies. The die shop made the proof dies but sent the San Francisco Mint business strike dies by mistake. This left the proof dies to be used on the business strike coins as WAMs. 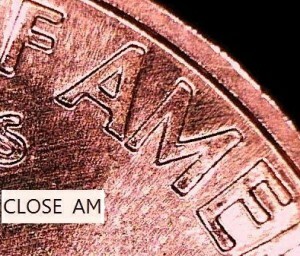 The 1999 WAM cents are the rarest of these coins with the 1998 scarce and the 2000 a little more common but still hard to find. With a lot of searching these coins can still be pulled out of circulation. These 2 coins are proof coins struck with a polished business strike die, making them once again Wrong Die Coins. 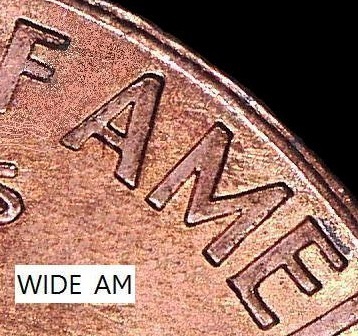 They are the opposite of the previous coins: the 1998,1999, and 2000 WAMs. They are CLose AMs or CLAMs. The dies used to make these coins were probably business strike dies that got sent to the San Francisco Mint by mistake. These coins have the AM in America touching and the FG being farther from the Memorial Building. Of these 2 proof coins, the 1998 S CLAM is extremely rare and the 1999 S CLAM a little more common but still rarer than the 1999 WAM. There are Wrong die coins and Transitional die coins in the other denominations. 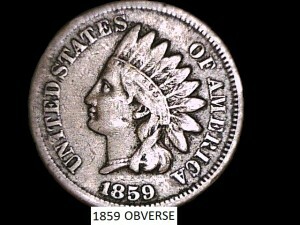 Look at all your coins, compare coins from the same year and see what you can find.